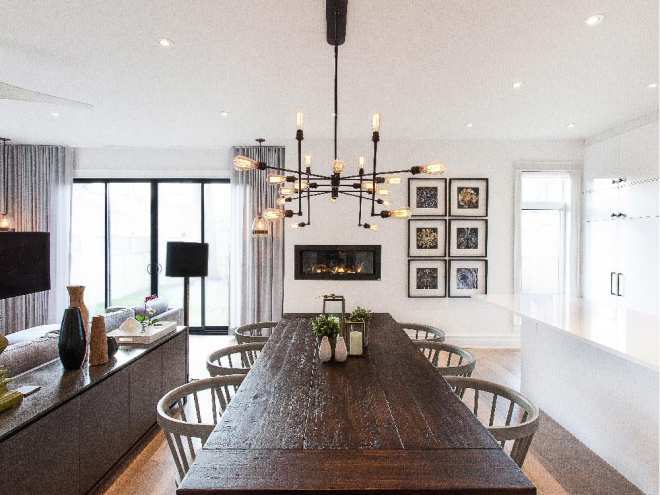 The design is sleek yet warm and the scale of the space is respected in Veronica Martin’s home. Realtors love to say that a home offers “resort living.” It simultaneously suggests pampering, relaxation and easy living. But five-star luxury is certainly not limited to single-family dwellings; it’s a mentality that is equally relevant to condos. The world isn’t flat but what about your decor? Five-star living is all about lush fabrics enhanced by rich lighting. Consider what makes a top hotel feel so wonderful. You enter the lobby to an interesting table display, often with a magnificent floral arrangement. Lobbies in top hotels are chock full of textures — from flower petals to wood to art to furniture upholstery in Venetian velvet or linen. The feeling of luxury is in the details — it’s a sense of comfort you’re coaxed into through the interaction of various textures. What does luxury mean to you? To me, it’s having someone — or some place — anticipate your needs before you are able to consider or verbalize them. In a luxury hotel, as in a comparable condo, your interactions with others contribute to the luxury quotient. For example, both spaces have concierges and neighbours. 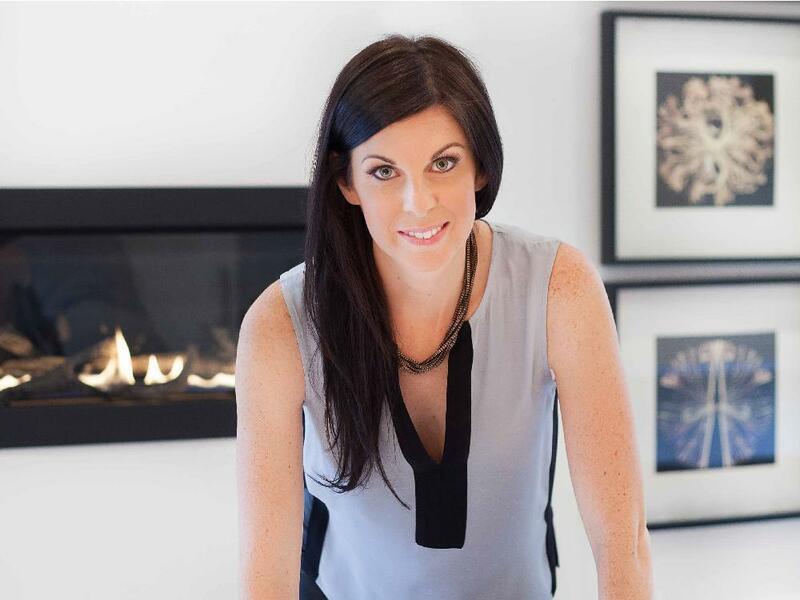 One thing that I would not have considered when choosing a luxury condo building is a concept that was introduced to me by Ottawa interior designer Veronica Martin (veronicamartindesignstudio.com). Martin has an impressive design portfolio ranging from luxury hotels and restaurants to retail and residential projects. She has worked around the world, from Dubai and Milan to New York, Ottawa and Toronto. Condo luxury, she says, is achieved not just through your own unit, but through a building-wide crusade. And when it comes to that esthetic, though a condo unit is smaller, don’t think that space can’t be maximized to achieve a state of easier living. Pay attention to transition spaces, not just your unit, says designer Veronica Martin. Before you move into your condo and, for that matter, before you purchase, go through your everyday routine in your current home. What works for you, and what doesn’t? Do you wish there was a plug in your centre island? Is the dimmer in your laundry room unnecessary? Do the analysis and think about how you can smooth things out for yourself. Make sure the kitchen, in particular, is well planned, Martin says. I agree. My favourite thing about my kitchen is that we used dimmers throughout the space but also have separate bright lighting above the counter space to facilitate simultaneous cooking and relaxing. Many fail to realize how important the kitchen is. It’s often the heart of the home and with the continued trend of shared kitchen/family rooms, the kitchen is increasingly a space for gathering of families and friends. That’s why your kitchen must be both beautiful and functional. One of the keys to this marriage is a great hood fan that swallows cooking odours, thereby enabling deeper relaxation and more comfortable entertaining. After all, luxury is about ease of living. Look, I get it: beauty is pain. But don’t make your centrally located family couch one that leaves you with a backache and doesn’t allow for comfortable reclining. There are so many furnishing choices these days that the possibilities are nearly endless. Do bring your family shopping to try out key furniture pieces, especially the kitchen chairs and family room couch. They’ll thank you later. And scale is key. When I met with Martin in her Wellington Village home, I was most impressed by how she considered the scale of the rooms she designed. She really knows how to optimize scale and focal points. Attention to this can make a room, no matter how small, inviting and memorable. Her designs are sleek, yet warm. So when you see five-star living advertised, make sure you delve into the design to ensure what you’re getting is really what will make your life truly more luxurious.